Thousands of miles from Charlotte, NC, the Carolina Panthers (5-9) continued their late-season surge. 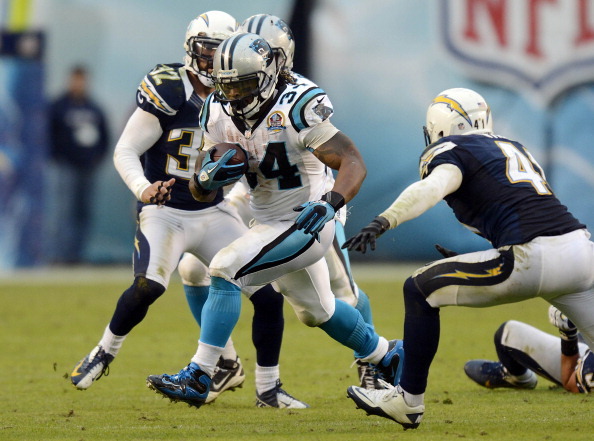 The Panthers defeated the San Diego Chargers (5-9) at Qualcomm Stadium late Sunday evening. After upsetting the visiting Atlanta Falcons a week earlier and routing the Chargers in San Diego, both fans and analysts now find themselves asking “where was this team all season”? Much like last week, Carolina started hot, putting up 21 points in the first quarter alone; with Mike Tolbert punching in two scores against his former team. Philip Rivers fumbled on his first drive – one of two turnovers collected by the Carolina defense on the day – setting the Panthers up in excellent field position to score once more.